Otitis media (OM) is a group of complex infective and inflammatory conditions affecting the middle ear, with a variety of subtypes differing in presentation and associated complications. It is the highest cause of pediatric health-care visits and antibiotic prescriptions internationally. It has been stated that approximately 75% of children under age three suffer from middle-ear infections. OM complications are the essential cause of preventable hearing loss, particularly in low-resource settings. Currently, scientists have confirmed that bacteria form colonies in the middle ear and are responsible for chronic infections. While bacteria are often thought of as independently free-floating living microorganisms, most of the bacteria and fungus forms organize complex communities and attach to surfaces called biofilm. Biofilm formation is considered as a survival strategy by bacteria to counteract traditional approaches (such as antibiotics) which are effective against bacteria. Biofilms are almost impossible to grow in the laboratory media and are incredibly resistant to antimicrobials which mean that the diagnosis of chronic OM is one of the most challenging in the management of middle-ear infection. This article aims to provide an appraisal of current scientific successes within the field of OM research and clinical management. Background: The patient-generated-subjective global assessment (PG-SGA) tool is considered as the most appropriate nutrition screening tool in oncological setting, since the scoring system enables the patients to be triaged for nutrition intervention. 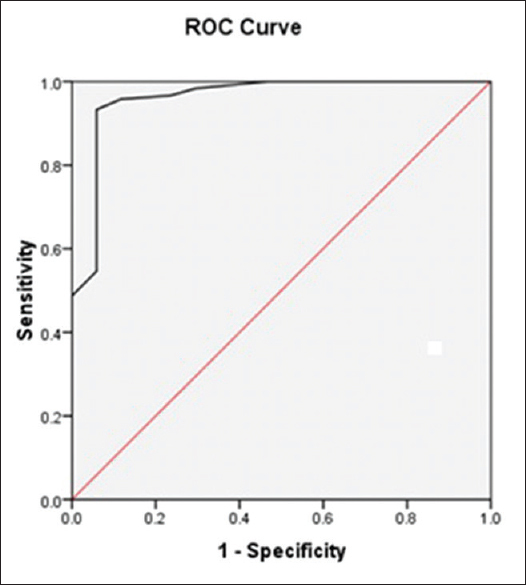 In this study, an attempt was made to determine the precision in classifying patients with cancer as per the Subjective global assessment (SGA) rating or Nutritional Triage recommendations using the PG-SGA tool. Methods: The study was conducted in cancer hospitals of Mysore, Karnataka, India, to recruit 136 cancer patients receiving treatment during a period of 1 year. The PG-SGA tool version 3.22.15 was used for eliciting information and to assess the nutritional status of cancer patients. Results: Among 136 cancer patients, 95.74%, 97.05%, and 74.54% of head-and-neck cancers (HNC), gastrointestinal cancers (GIC), and other cancers (OC), respectively, were malnourished (SGA B + C) according to the SGA categories (SGAC), whereas 93.61%, 97.05%, and 81.81% of HNC, GIC, and OC, respectively, were categorized under severe nutrition risk as per the scored nutritional triage recommendations (SNTR). SGAC had an area under curve (AUC) of 0.961, whereas nutritional triage recommendations had an AUC of 1.0, signifying higher precision of using SNTR to assess the nutritional risk and need for nutritional intervention among cancer patients. Conclusions: Overall, SNTR is more precise in assessing the nutritional status among cancer patients than SGAC and also helps in developing a better nutritional care plan for effective prognosis. Background: Food and diet pattern vary across different regions and different communities and so a food frequency questionnaire (FFQ) has to be developed for a specific population. Objective: The objective of the study was to develop and to validate a FFQ for pregnant women of Tamil Nadu. Methods: Twenty four hour recalls (HRs) were collected from 200 pregnant women of select districts of Tamil Nadu. A detailed food list was prepared with the data from 24 h diet recalls and after a supplemental focus group discussion. A comprehensive FFQ was developed and it was piloted on 20 women to check its feasibility. The FFQ had 114 items which were divided into seven groups. FFQ validation was conducted on 109 pregnant women using two 24 HRs as the standard measure. Results: FFQ that was developed had the most commonly consumed food items of the region. The intake of nutrients calculated from FFQ when compared with 24 HRs was higher. A significant correlation was found for intake of nutrients. Pearson correlation coefficient between the two methods ranged from 0.3 to 0.9. 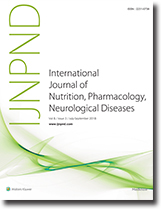 Conclusion: The FFQ thus developed and validated is a useful tool in estimating the nutrient intake of pregnant women and its results are broadly comparable with other studies conducted in South India which indicates that it can be used for the future studies of nutritional assessments of pregnant women. Introduction: Heartogen [HTN], an Ayurvedic medicine is a combination of herbs and bhasmas used in cardiac ailments. Objectives: The present study is aimed at investigating the cardio-protective effects of HTN against isoproterenol [ISP] induced myocardial infarction in rats. 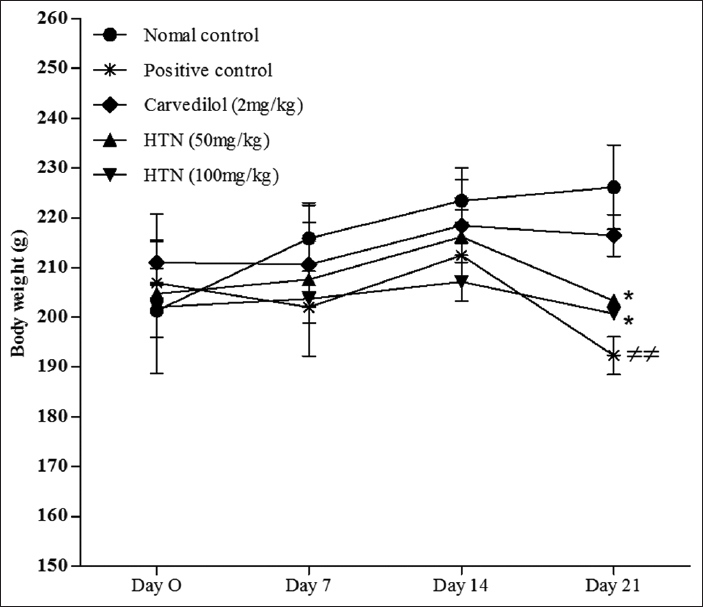 Methods: Male rats were pre-treated with HTN [50 and 100mg/kg/day, p.o] or vehicle [0.3% CMC] for 21 days. ISP [120mg/kg, s.c; 2 doses at 24 h interval] was administered on days 19 and 21. On day 22, plasma and heart tissues were collected for biochemical, molecular and histopathological analyses. 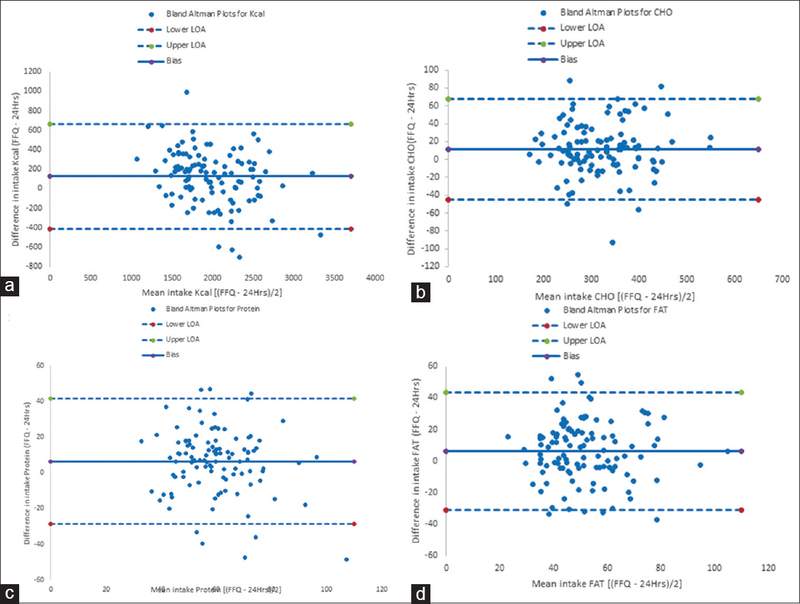 Results: Pretreatment with HTN significantly reduced plasma CK-MB and cardiac LPO while increased SOD, GSH and GPx levels when compared vehicle treated rats. HTN improved NaKATPase, CaATPase and MgATPase activities in the hearts of ISP intoxicated rats. HTN down-regulated p53, caspase-3 and Bax and up-regulate Bcl2 gene expression. HTN treated rats showed minimal degree of histoarchitectural changes in heart when compared to positive control. Conclusion: Hence, in this manuscript we propose that HTN has the ability to protect against myocardial infarction via anti-oxidant and anti-apoptotic mechanisms.